The EcoInsight+ is an intelligent thermostat that serves as the room automation controller within the EcoSmart energy management system to save energy and maximize guest comfort. 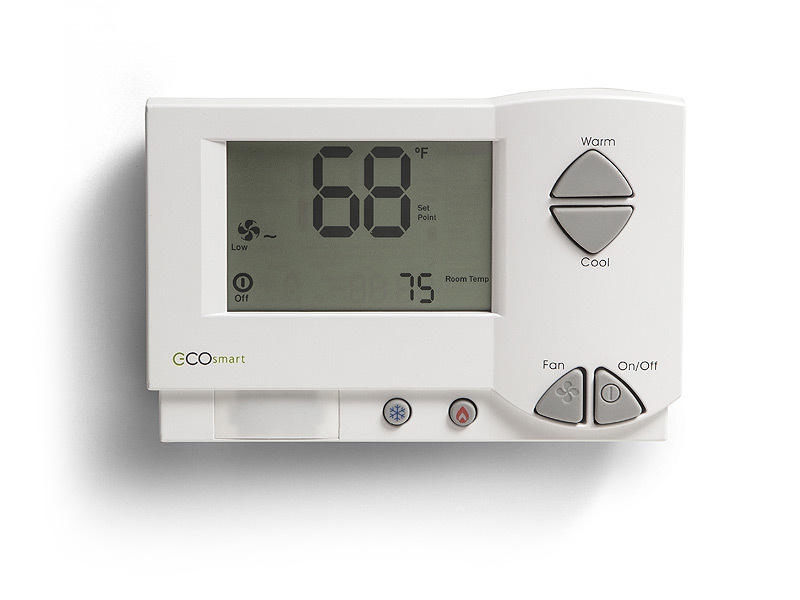 Additionally, the EcoInsight+ provides all expected functionality from a networked energy management thermostat such as advanced occupancy, light and humidity sensing for enhanced HVAC optimization. The EcoInsight+ is the next-generation intelligent thermostat and room automation controller within the EcoSmart energy management platform.This Zigbee HA (Home Automation) compliant device simplifies 3rd party integration by serving as a ZigBee-enabled router, communicating wirelessly with the other EcoSmart devices in the network. 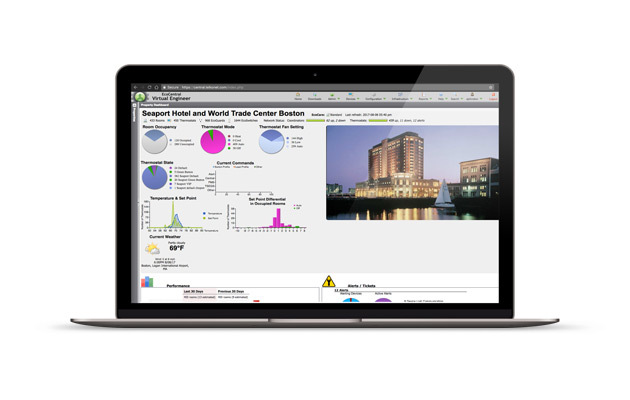 Designed with flexibility in mind, the EcoInsight+ is highly compatible across systems. It has over 125 field-configurable settings to control HVAC efficiency & is proven to be compatible with most HVAC systems, such as: packaged terminal air conditioners, fan coils, heat pumps, split systems, and more. Setup is simple and fast with its software-based relay control and fan speed configuration.The UL listing & the various power input options make the EcoInsight+ a versatile HVAC controller for most integrated systems. 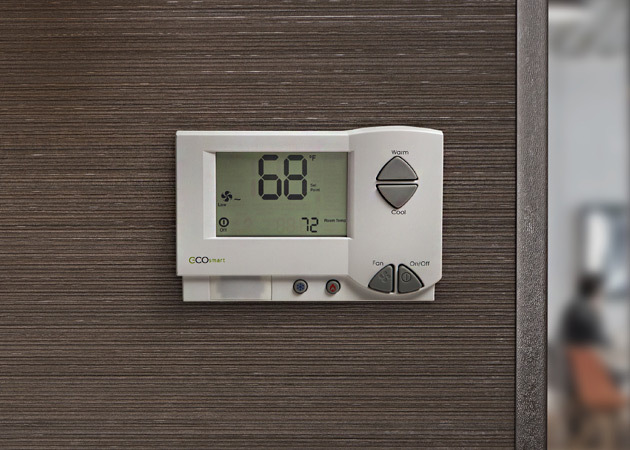 With the EcoInsight you get more than just a thermostat, you get a networked edge processor with a generous number of input & output options. Up to three Current Transformer (CT) inputs can be used to measure and log current.Two external temperature inputs can be used to monitor remote temperature, two dry contact pairs are available for door contacts or integration with third party building controls & finally 2 variable outputs are included for control of lighting, fans or valves, making the EcoInsight+ a fit for the basic to the most complicated installations.